EnviroStraw was appointed to revegetate two severely eroded sites in this area. One in the Redwood National Park and the second encompassing nearby steep batters. Because of weed infestation, the Redwood site had been stripped of topsoil. An analysis of the remaining soil showed low fertility and nutrition with an excessively high pH (8.4). Organic carbon levels were also very low. 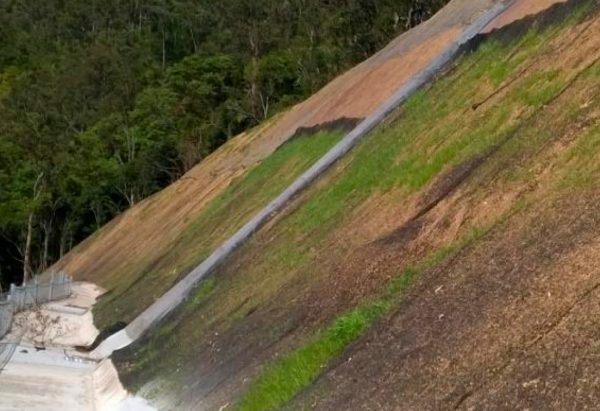 The steep batters lacked topsoil completely, and needed immediate erosion control. 3 days, ready for ECM and EnviroBond to be applied. In a matter of days, vegetation developed. Treatment resulted in excellent long-term results – vegetation was established and soil fertility was restored. With the correct preparation and products, EnviroStraw ensured that the soil substrates recovered not only quickly but sustainably. 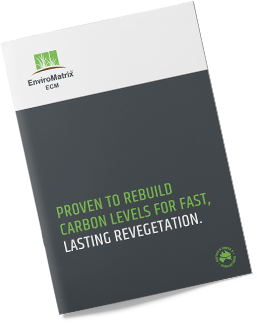 Organic carbon levels and nutrients were restored so that the soil could facilitate effective root establishment and vegetation growth. 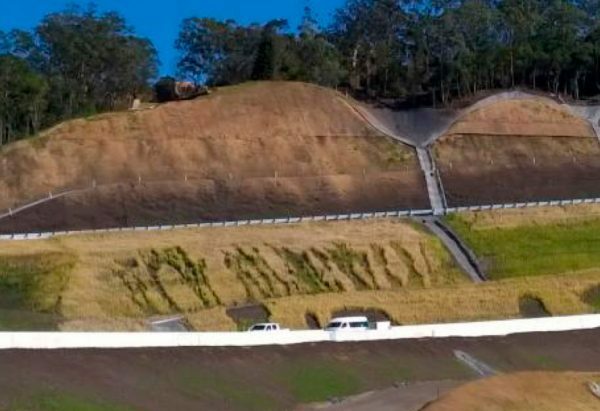 Months and years on, solid vegetation cover continues.